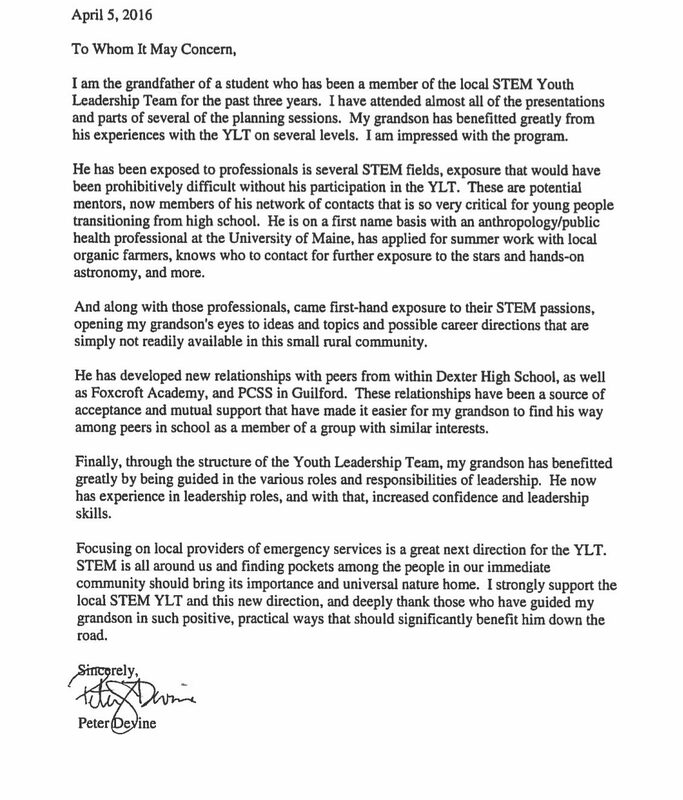 Over the summer, the Teen Science Café Network received this letter from a grandparent of a Teen Leader at our Teen Science Café for ME! site in Dexter, Maine. The teens who work with our program and attend our events are the reason why we work so hard year-round trying to improve our practice and grow our network. Thank you for the very kind words Mr. Devine! We hope to continue to grow the network to be able to help more teens across the country build on leadership skills and offer a venue to grow as young people. What is a Teen Science Café? Teen Science Café out-of-school programs are a free, fun way for teens to explore the big advances in science and technology affecting their lives. Teens and STEM experts engage in lively conversations and activities to explore a topic deeply. What is the Teen Science Café Network? We are a community of practice providing the highest quality resources and support to organizations who implement a teen science café. Our members are committed to help one another and continually improve the teen science café experiences and their impacts.